The species C. maxima was originally domesticated in South America in the regions of Peru, Bolivia and Argentina. The indigenous peoples of South America used it for centuries as a staple food in their diet. Europeans quickly adopted the pumpkin with colonization recognizing it as an important food source. In Brazil, abóbora moranga was traditionally used to make soups, salads, and stews; however, it has been replaced in these dishes with a new variety of pumpkin, abóbora híbrida. In Brazil and Portugal, abóbora moranga is now used mainly to make desserts. In different regions of Brazil, abóbora moranga is known by different names such as moranga or comúm in the southern part of the country and jerimum in the north. 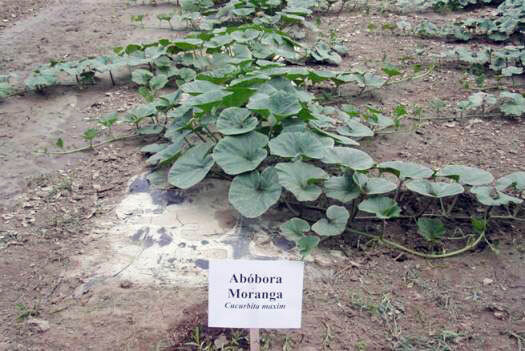 Grow abóbora mornaga using the same production practices for winter squash or pumpkin. 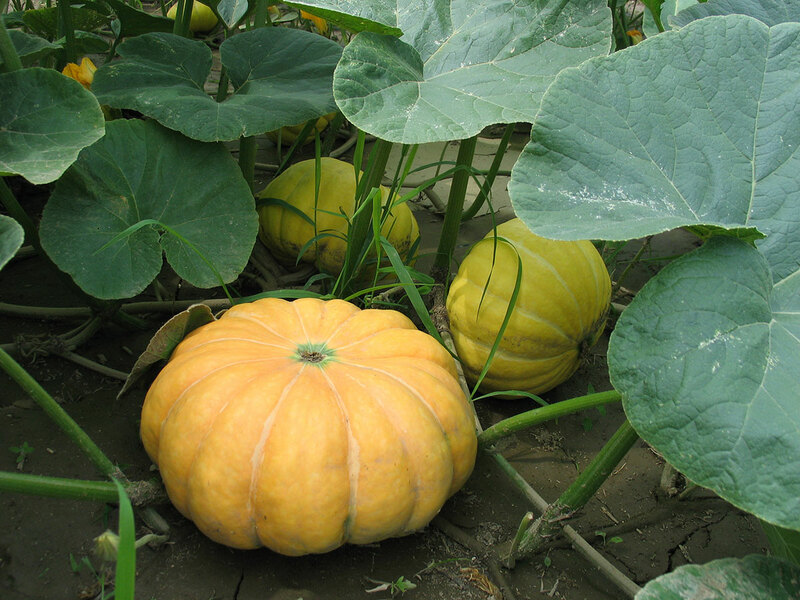 For information on production and management of calabaza, refer to the New England Vegetable Management Guide and click on pumpkin and squash. These seeds are generally not available through North American seed companies but can be special ordered. The seed company Topseed in Brazil carries the variety "Moranga Exposição", which is the most popular one. It is difficult to order the seed directly from this company due to the permits needed. Many commercial companies in the US are set up to order this seed directly.